In December 2007, two members of the Falun Gong visited our home. It’s one thing to hear about the Falun Gong in the Western media that China is discriminating and/or abusing them. It is another thing to meet members of the cult and drink tea with them at your kitchen table. I’ve heard about the Falun Gong through the Western media for years but knew little about the cult except that they were a thorn in the throat of the Chinese government. In 2008, members or supporters of the Falun Gong may have fire bombed the entrance to the Chinese consulate in San Francisco. The media mentioned it might have been Tibetan separatists. Who knows which group was responsible, since both are enemies of China’s government? My wife knew someone who joined the Falun Gong years after they were friends. This friend also spent time in Chinese jails for her Falun Gong beliefs and activites. I’m going to call this friend Gao Fangpi (not her real name). In 2007, Gao Fangpi was on tour with a Chinese group performing a musical to celebrate the Chinese New Year. This entry was posted on Saturday, April 24th, 2010 at 12:00 and is filed under China, Chinese Culture, Chinese history, cults. You can follow any responses to this entry through the RSS 2.0 feed. You can leave a response, or trackback from your own site. I guess I find it sad that you would adopt the dehumanizing (not to mention simply inaccurate) terminology used to persecute Falun Gong in China. If you sat down with these people and talked to them, why are you still saying Falun Gong is a cult? There are no leaders, no “organization” in the normal sense of the word, no donations accepted… nothing at all apart from decentralized individuals doing exercises and reading books (along with a healthy dose of activism since 1999). The other thing I don’t like is the indirect imputation that practitioners may have been behind a firebombing… this is quite unreasonable. Falun Gong is entirely non-violent, and no one who had read and accepted Falun Gong theory would advocate anything like that. It’s antithetical to Falun Gong beliefs to use any kind of violence, so saying that kind of thing is unreasonable, in my view. I would urge both of you to spend at least a bit of time finding out some basic info about Falun Gong (heck, just read the wikipedia page). I wouldn’t make those kind of comments about things I didn’t understand, and when it comes to a subject of this weight — where people are being killed for their belief in Falun Gong in China — I think it behooves the would-be pundit to get some basic info about the subject of their commentary. Just my view. Not meant to be a criticism of Lloyd. True, there’s no proof that Tibetan Separatists, Islamic Fundamentalists or members of Falun Gong fire bombed the Chinese Embasy in San Francisco, but no one can control all the followers in a poltical movement, cult or religion and there is no way to prove that a member of the Falun Gong, who didn’t follow the teachings of the group, didn’t do it since every religiion and cult tends to eventually have a radical element that would stoop to violence. It is also easy to the peacefull members of any group to denounce members who may have joined and then turned violent. However, the message received may have been enough to trigger an emballanced person to act out in this way–like the fire bomb. We also saw violent tendencies in the US from members of the Tea Bag People protesting the new health care bill that was voted into law. Spitting on people, calling others names and threatening violence. Due to the violent nature of humans, this has happened in history before. No group is immune from insanity. As for the Falun Gong being called a cult, I’m sure that no members of the FG would call themselves a cult but many outsiders who do not belong may see the FG that way. I have listened to members speaking about the FG. They came to my house. And it is my “opinion” that the Falun Gong is a cult. Of course, any “opinion” may be wrong to someone else. I provded links to other Blogs where other individuals I do not know also believe the FG is a cult so I am not alone in my opinion. 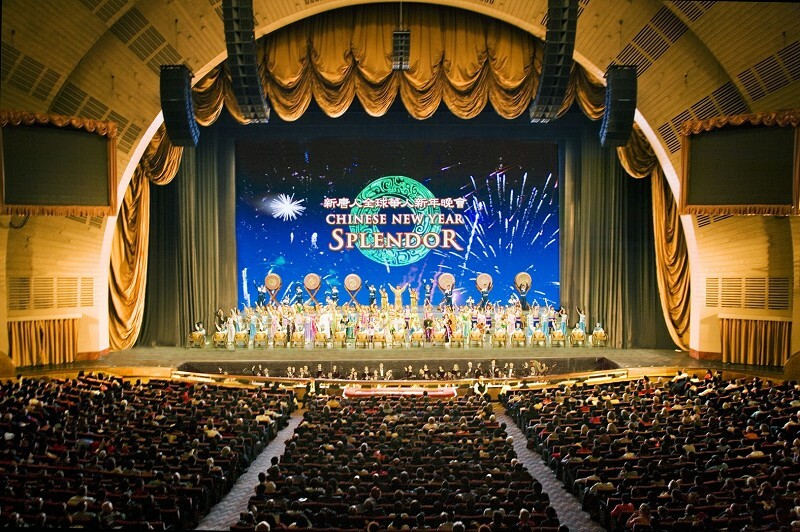 Don’t forget, I also attended that New Year celeberation in the Orphium theater. Again, from past experience with other “cults”, what I saw in the Orphium theater matched the same behavior. I was not alone in my observations that led to the opionions that I have. Lloyd, very brave of you to even mention their name. We can assume that you (and me as well just for replying, heh) have now officially entered the CPC’s FG watchlist. Personally, I never tried to understand the whole FG thing, as I think there are already enough religious wars in this world. But for China’s government to fear a single spiritual group SO much seems highly suspect. True, it appears strange that today’s government should react the way they do to this cult. Maybe, it has something to do with the Chinese mindset since Chinese governments have reacted to cults like the FG like this for more than a thousand years. After all, China is not a culture where any religion has dominated the society and this one doesn’t even believe in one god but many dieties like the FG and their followers react and act more like people who have been brainwashed ????????? ?